Dr Chambers specialises in medieval and early modern drama, medieval clothing and fashion, as well as late-medieval language contact. At present he is Research Associate on a 5-year collaborative AHRC-funded project: Records of Early English Drama, Northeast (REED-NE). Running since 1979 (U of Toronto), REED is a massive international project to assemble a complete survey of medieval and early modern performance in Britain. REED-NE will be a critical edition of all surviving records of performance and entertainment in England’s North-East from about the ninth century up to 1642. The areas covered will be Durham, Northumberland (with the Percy papers), East Yorkshire, North Yorkshire and West Yorkshire. 2012-13 he was a Teaching Fellow at The University of Birmingham having formerly been Research Consultant on the Lexis of Cloth and Clothing Project based at the University of Westminster, London, UK (http://lexisproject.arts.manchester.ac.uk/index.html). After 2009 he was employed as Research Assistant on the Lexis project's sister work: the Medieval Dress and Textile Vocabulary in Unpublished Sources Project http://tinyurl.com/wardrobeproject, in collaboration with Dr. Louise Sylvester and Professor Gale Owen-Crocker. He holds a PhD in English from Trinity College Dublin (IRE), and has lectured on medieval and Renaissance English language and literature at the University of Durham (2001-2), Trinity College Dublin, University of Westminster and the University of Birmingham. He has published widely in publications on material culture and historical philology and continues conducting research on fashion and sumptuary legislation in the 14th through the 16th centuries and on the lexicology of medieval fashion and dress. He is also preparing work on violence in the late-medieval drama and on the history of the tutelary good and bad angels in Western literature. Chambers, Mark (2017). ‘How Long is a Launce? : Units of measure for cloth in late medieval and Early Modern Britain’. In Medieval Clothing and Textiles. Netherton, Robin & Owen-Crocker, Gale R. Boydell and Brewer. 13. Chambers, Mark C. & Sylvester, Louise M. (2013). 'Language Use in Manuscripts of the Royal Wardrobe and Petitions: Evidence for the Study of Dress and Textile Vocabulary'. In English Manuscripts Before 1400. Edwards, A.S.G. & Da Rold, Orietta University of Chicago Press. 17. Chambers, Mark (2012). 'brail’, ‘crakow’, ‘chronicles’, ‘gorget’, ‘handbooks’, ‘letters’, ‘medley’, ‘perse’, ‘surcoat’, etc. In Encyclopedia of Medieval Dress and Textiles of the British Isles, c. 450-1450. Owen-Crocker, Gale, Coatsworth, Elizabeth & Hayward, Maria Brill. Chambers, Mark C. & Sylvester, Louise M. (2012). 'Multilingualism in the Vocabulary of Dress and Textiles in Late Medieval Britain: Some issues for historical lexicology’. In English Historical Linguistics 2010. Hegedűs, Irén & Fodor, Alexandra John Benjamins. 313 – 326. Chambers, Mark Campbell (2011). '"Hys surcote was ouert": The "Open Surcoat" in Late Medieval British Texts'. 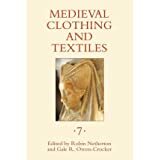 In Medieval Clothing and Textiles. Netherton, Robin & Owen-Crocker, Gale R. Boydell and Brewer. 7. Chambers, Mark C. & Sylvester, Louise M. (2010). ‘From apareil to warderobe: some Observations on Anglo-French in the Middle English Lexis of Cloth and Clothing’. In The Anglo-Norman Language and its Context. Ingham, Richard York Medieval Press/Boydell and Brewer. 63-73. Chambers, Mark C. & Sylvester, Louise M. (2010). ‘Redressing Medieval Dress with the Lexis of Cloth and Clothing in Britain Project’. In Everyday Objects: Medieval and Early Modern Material Culture and its Meanings. Hamling, Tara & Richardson, Catherine Ashgate. 71-82. Chambers, Mark C. & Owen-Crocker, Gale (2008). 'From Head to Hand to Arm: The Lexicological History of "Cuff"'. In Medieval Clothing and Textiles. Netherton, Robin & Owen-Crocker, Gale R. Boydell and Brewer. 4. Chambers, Mark C. (2008). ‘“What is this, a betell, or a batowe, or a buskyn lacyd?” Lexicological Confusion in Medieval Clothing Culture’. In Textual Healing: Studies in Medieval English Medical, Scientific and Technical Texts. Vera, Javier E. Díaz & Rodríguez, Rosario Caballero Peter Lang. Linguistic Insights: Studies in Language and Communication 101: 55-74. Chambers, Mark C. (Published), 'Clothing by Name: Approaching the Study of Late Medieval Multilingualism through a Specific Technical Lexis', The Third International Conference 'Language, Culture, and Society in Russian/English Studies'. London, London, 87-97. Chambers, Mark C., Sylvester, Louise M. & Owen-Crocker, Gale R. (2014). 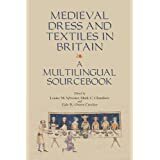 Medieval Dress and Textiles in Britain: A Multilingual Sourcebook. Medieval and Renaissance Clothing and Textiles. Boydell Press. Chambers, Mark C. (2004). ‘Weapons of Conversion: Mankind and Medieval Stage Properties’. Philological Quarterly 83(1 (Winter): 1, 1-11. Chambers, Mark C. (2001). 'Physicality, Violence, and the Psychomachia in the Early English Morality Plays’. 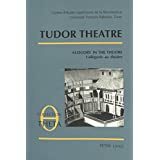 Tudor Theatre: Allegory in the Theatre (L’allégorie au théâtre), Collection Theta 5: 1, 1-20.